Higher education has been leading on addressing the climate crisis with more 600 institutions committed to carbon neutrality through the Presidents’ Climate Leadership Commitments. It’s now time to turn the cross-sector alignment initiated by the We Are Still In (WASI) coalition – hundreds of businesses, investors, cities, and institutions of higher education in the US committed to the goals of the Paris Agreement – into performance and action. 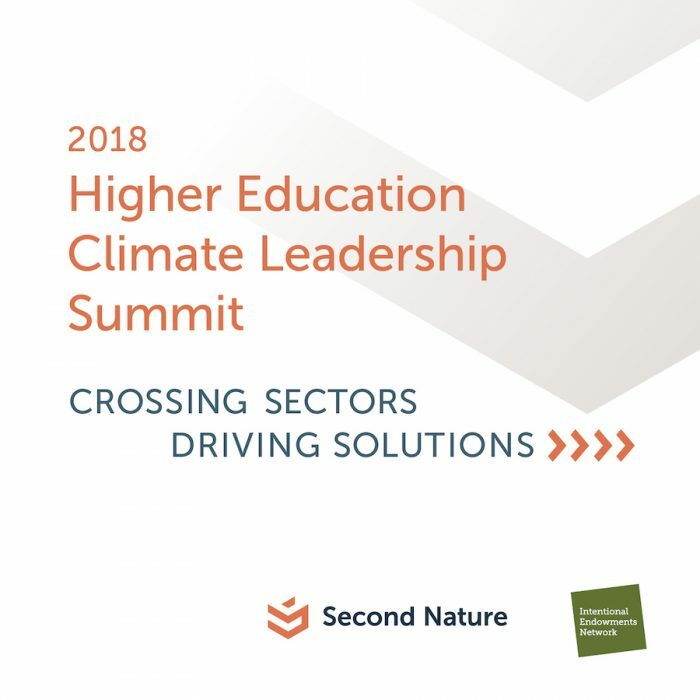 Second Nature and the Intentional Endowments Network, will host the 2018 Summit focused on cross-sectoral collaboration, and grand solutions to the climate challenge.